Is enriched with sweet almond oil for an intensely moisturising affect. Carrot Seed & Tea Tree Essential oils have natural anti-bacterial properties to help maintain healthy hooves and leave a fantastic shine. The hoof oil bottle has been upgraded to a new durable aluminium bottle. 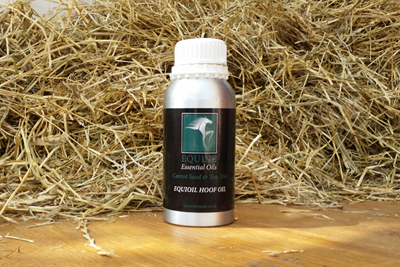 "I just wanted to say how impressed I am with your hoof oil, I applied a couple of times to my horse's usually tender feet and it has helped his hooves no end. Its refreshing to find a quality product that does what it says it will do!! THANK YOU"